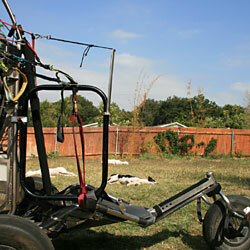 The TrikeBuggy is unique and wonderful all by itself, but we are still busy improving the experience for the pilots that fly these great machines. We hope that these accessories and innovations will make your life as a TrikeBuggy pilot just all that much richer and more meaningful (OK, maybe just more comfortable and enjoyable!). If you have any suggestions or questions, or simply want to talk to us about the TrikeBuggy, please feel free to email us at info@trikebuggy.com or call us at 805-966-5900. 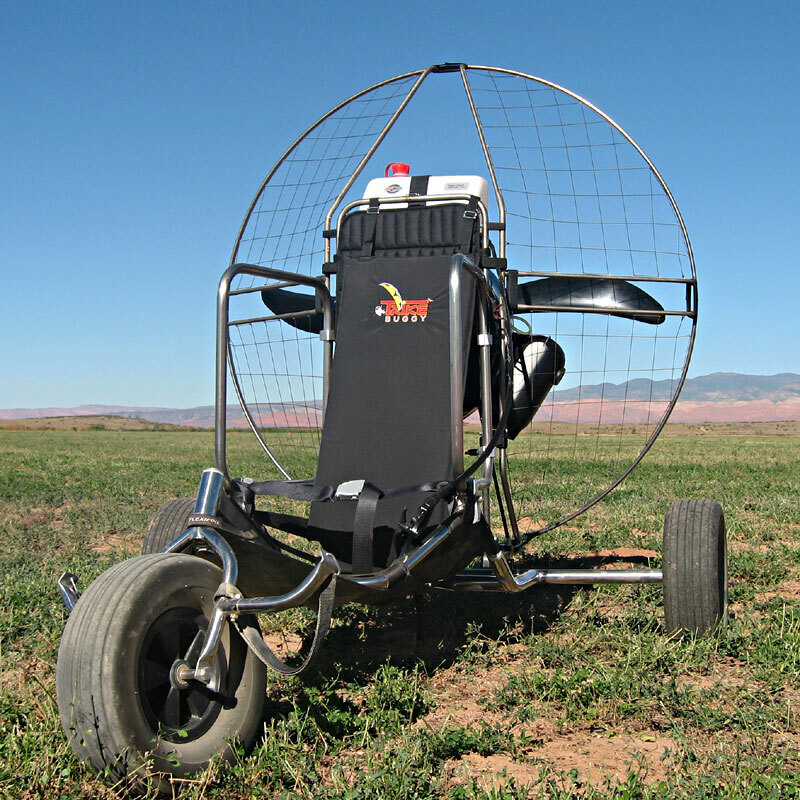 If you need any accessories for your TrikeBuggy such as a Reserve Parachute, Communication Helmet, Books, DVD's or Instruments, please visit our Products section. 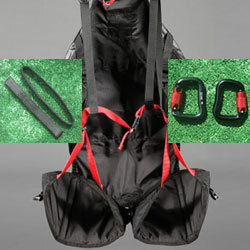 This remarkable kit is quite simply the best thing on long, cross-country flights that you will ever use! 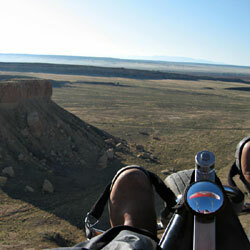 The TrikeBuggy Foot Steering Kit allows you hands-free operation of the steering of your glider with your feet! 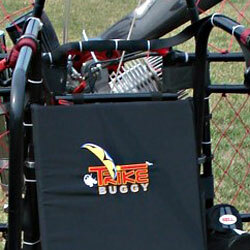 The TrikeBuggy Harness Backup Kit gives the concerned pilot an extra margin of security while flying. 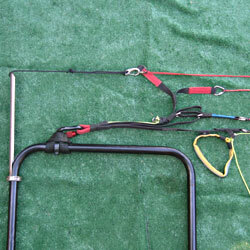 The kit includes the Blackhawk Kiting harness, a pair of Ozone Carabiners and a pair of 18" long Hang Straps to connect the harness to the main carabiners while sitting in the seat. 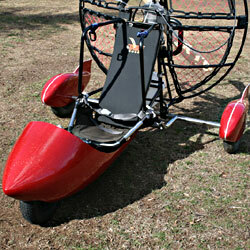 Couple these with the Titanium Simonini from Fresh Breeze, and you have one shiny ride! Check it out!